When seeking to engage younger people in religious school or other congregational events, many congregations want to bring “the camp feeling” into their programming. 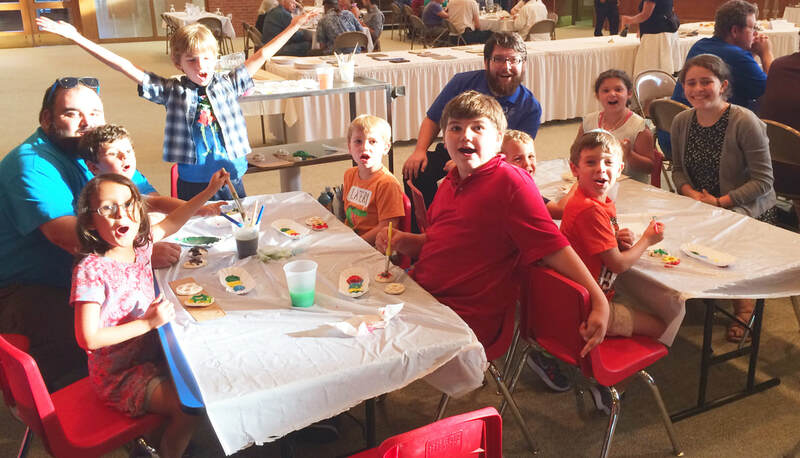 Congregation B’nai Israel in Galveston captures the camp feeling, and more, every week. Jewish Summer camp is a large part of building a k’hilah kedoshah, “a holy community,” for Jewish youth. At Jewish Summer camps, Judaism becomes a central part of the classic Summer camp traditions and fun activities that keep campers coming back year after year. The success of Jewish Summer camp is no secret, and many congregations encourage their youth to attend their region’s camp or attempt to bring that summer camp enthusiasm and fun to their congregational programming. As an Education Fellow, I have the unique pleasure of serving Congregation B’nai Israel. I consider myself lucky to serve them not only because Galveston Island is a beautiful area, filled with beaches, great food, and a great community, but because their programming brings me right back to my days as a camper at my summer home, URJ Greene Family Camp. Part of this nostalgic camp feeling for me comes from working DT Panter--the Education Director of CBI’s religious school, a former camp counselor, and my camp counselor during my very first session of camp in the summer of 2000! Our goal is for our youth to strongly identify as Jews especially as they journey into adulthood. However, we must recognize that to achieve those ends, Religious School is not enough. Successful Jewish education is a 24 hours a day, 7 days a week, 12 months a year endeavor that can only [be accomplished] through partnering with parents, youth groups, Israel trips and camps. […] At CBI, there is no difference between ‘camp feeling’ and ‘congregation feeling.’ The same ruach (spirit), generated by sincere relationships and spirited music, experiential education and fun programming which is done so well at Camp is also consciously cultivated at CBI. We are a Family of Faith, and we fill our spiritual home (our Temple) and the community that surrounds with joy! In the constant struggle to keep youth involved in Judaism, summer camps are a vital tool to keep young Jews enthusiastic about their Jewish identity and traditions; Congregation B’nai Israel in Galveston embodies the same camp enthusiasm and more to keep their youth excited about Jewish learning!